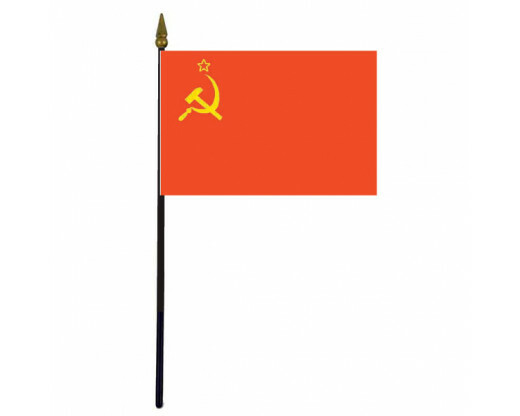 High quality decorative USSR stick flags. 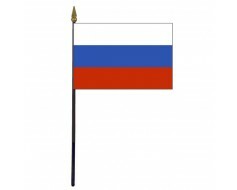 Printed fine polyester flag mounted to a 10" black plastic staff with a gold spear tip. 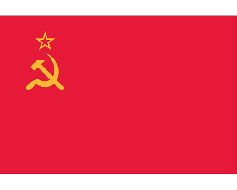 The flag of the USSR (Soviet Union) has symbols of communism and socialism in the upper corner of a solid red flag. 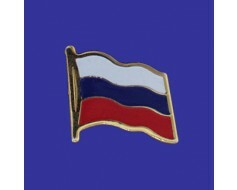 The symbols include a red star (bordered in gold) above a crossed hammer and sickle.